Outstanding stage presence with hundreds of 42ss swarovski crystals. Very sparkly. 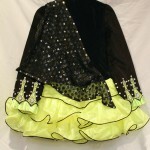 Black velvet bodice with satiny citron ruffled skirt. Lace cape. We have always received many compliments. 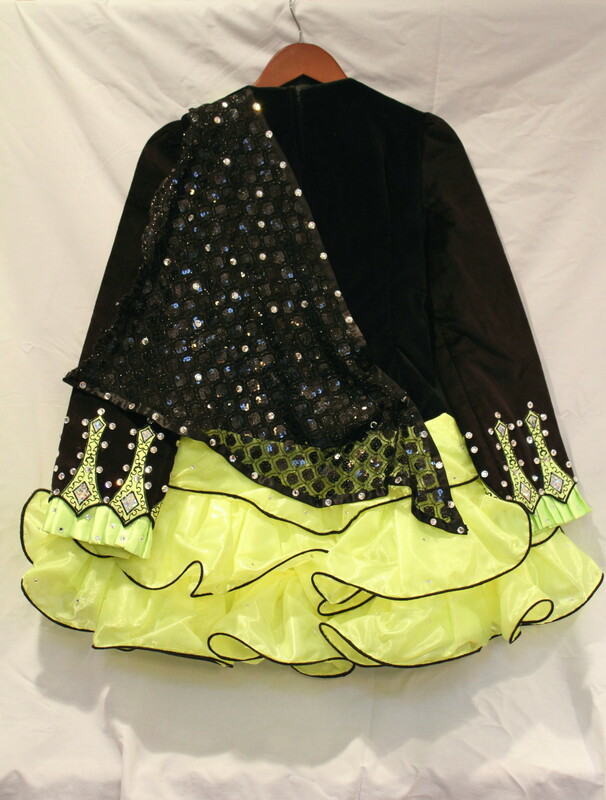 Recently added cupcake skirt to replace original soft panel skirt (also available). Some room for let out and let down. 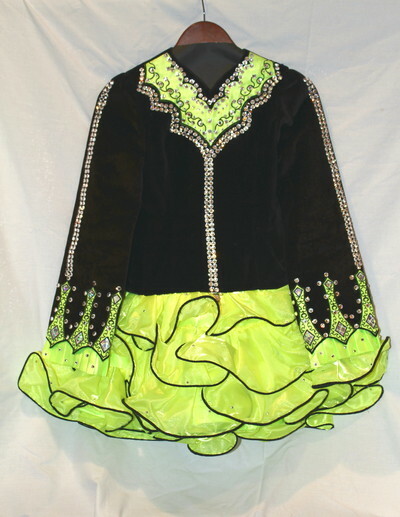 Comes with bloomers and crown. Asking Price: $US799. Shipping costs are included for my own country, overseas shipping is extra. Returns are negotiable.